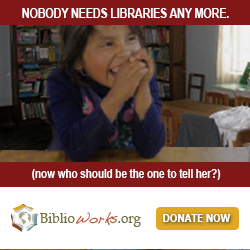 Home > Book Collecting > Basics » What is a First Edition? In the simplest terms, a first edition is the first commercially distributed version of a book. For the purposes of modern collectible books, first edition is shorthand for the first printing of the first edition of a work. There isn't any one profile of the collector. People come to book collecting through many channels, but the one constant is that a book collector has formed an emotional connection to a particular book or body of works for one reason or another. For the collector, reading those books is no longer enough. They seek to posses the works that they so love. Kathy Bates brilliantly portrayed a worst-case scenario extreme of this psychology in Stephen King's Misery, satisfied only by possessing the author himself. The drive to collect first editions has the same impetus, although quite a bit less sinister than Ms. Bates version of the collector. First editions are prized because they are as close as a reader can get to the source. This is the way the book first appeared to readers, with the original cover art, and sometimes even the original typos. The first edition isn't actually the earliest form of the book, of course. Before the book was printed, bound and shipped out to the book stores in its final form, a book has gone through a number of prepublication versions. The earliest form of the book is the author's original manuscript. Sheets of paper stacked neatly beside the typewriter or journals showing the writer's original works, edits and marginalia can be the single most valuable version of an important work at times, but the value and marketability of that version of the text is a little troublesome. Sheets of paper pose the problem of not being that attractive to look at. When a collector is spending thousands of dollars on a unique item, they typically want to display it. For that reason, booksellers will often commission a binder to make a custom clamshell box to house the manuscript, helping pair the significance of the item with something that visually conveys it's value. The elaborateness and artistry of the box is usually informed by the manuscript's value and significance. After the manuscript, and before publication, a book often goes through some series of early printing for purposes of editing and determining the final layout. Some of these early printings may be bound, usually in a utilitarian paper wrap, for distribution to book shops and book reviewers for promotional purposes. Often bearing bold admonishments on the cover that they are not intended for resale, these galleys and advanced review copies may filter into the used and rare book market. They are usually earlier versions of the text than the first edition, but they share the same difficulty of lack of physical attractiveness as the manuscript, but don't share the benefit of being the one true unique form of the book. As such, their value as collectible is often uncertain. A completest is a likely interested buyer, but a more casual collector may just not ever feel a need for that edition. Modern books are often published in different countries around the world for distribution in that country or region. Faber & may get rights to print the first UK edition of a book, and G. P. Putnam may print the first US edition of that same book. Often, both of those books may be released for sale at more or less the exact same moment. Collectors tend to value the edition of the book published in the author's native country, and booksellers may refer to that version as the "True First" to help guide buyers. That is a general rule, but plenty of exceptions exist there. 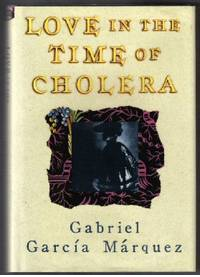 Gabriel Garcia Marquez's popular and critically acclaimed novel Love In the Time Of Cholera was first published in the author's home country of Columbia in 1985 in Spanish, but the book's many devoted U.S. fans may be more drawn to the version of the book that they first encountered when it was translated into English and printed by Alfred A. Knopf three years later. An author with a proven market interest may have a new work first released as a limited edition. These editions are uniquely designed for the book collector market directly, and are typically never read by their owners. The Franklin Library and the Easton Press are both mainstream publishers that have released signed, limited first editions of famous author's books. The edition released to the general market after that signed limited edition is usually called the First Trade Edition. Since "first edition" generally means the first printing of the first edition for modern works, a book described as a "First Edition, Second Printing" might be a little confusing. While technically true, this is quibbling with terms a bit. With few exceptions, collectors are seeking the first edition, first printing of a book. The value of later printings is drastically less than a collectible first edition, first printing. There are cases, however, where the first printing is just too scarce to be economically feasible for most people to consider. The first edition, first printing of Hemingway's The Sun Also Rises with dust jacket is hard to find for less than USD $1,000. Some of Hemingway's fans may have an interest that exceeds their means, and so settle for a handsome second printing in the $300-400 range, a price considerably reduced from the first edition. The first edition is the first edition printing of the first edition, but sometimes books go through multiple editions. For the purposes of modern collectibles, an edition is a completely different presentation of the same work, as in the paper back edition vs. the hardcover edition, or a special release of an illustrated edition. Each of these releases will have a first printing. Since the first edition really means the first printing of the first edition, the first printing of these subsequent releases is referred to as First Thus. The first edition of Steinbeck's The Red Pony might reasonably sell for thousands of dollars, but the first illustrated edition of that work, while still collectible, tends to be seen for more in the USD $100 range. Seasoned book collectors tend to seek the first edition of the books they love, but that is only one way to be a book collector. Simply keeping and owning a book that you love after you've finished reading it is a form of book collecting, and probably a first step into the world of collecting first editions.